Who says nothing is sacred? For 1500 years, Christians have used "sacred reading" or in Latin--Lectio Divina--as a way to tap into the power and vitality of God's Word. For ancient Christians such as St. Augustine, St. Francis, and others it was a pillar of one's daily relationship with God. Sound interesting? Learn how it works. Author and youth pastor Tony Jones explains the four steps of Lectio Divina: lectio (reading), meditatio (meditation), oratio (prayer), and contemplatio (contemplation). You'll be amazed at the profound impact this practice will have on your spiritual life. Includes 12 lectio divina exercises in the back with passages from The Message Remix. Tony Jones is National Coordinator of Emergent, an organization that gathers innovative church leaders (www.emergentvillage.com). A graduate of Dartmouth (A.B., Classics) and Fuller Theological Seminary (M. Div. ), Tony was a youth pastor for nearly a decade. He is currently a doctoral candidate and senior research fellow at Princeton Theological Seminary (estimated completion in 2008). 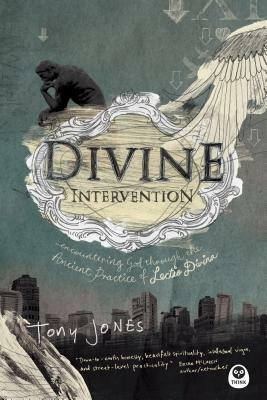 Tony is a nationally recognized leader and published author in youth ministry and the emerging church movement. He serves on the National Working Group of the Faith as a Way of Life Project at Yale and is an active police chaplain in Edina, Minnesota. His primary interests lie in the intersection of faith with contemporary issues, practical theology, and the emerging church. Tony and his wife, Julie, live in Minnesota with their three children-Tanner, Lily, and Aidan-and a ninety-pound yellow Lab.